Following the fires in Yellowstone National Park in 1988 the amount of care taken to avoid more fires has been increased. More money is allocated to fire spotters and our protagonist Henry accepts a job in the forests of Wyoming as a lookout for the summer. This decision, to keep things vague, comes from a desire to take a break from a very stressful period in Henry’s life. His only contact for the summer is another fire spotter, Delilah, stationed in the Northern area of the park. This is the story of Firewatch. Henry and Delilah’s conversations occur over a walkie-talkie which is where most of the story segments happen. The dialogue between the two is great and the way the two play off each other kept me interested. The way their relationship progresses throughout is perhaps one of my favorite aspects of the story. Delilah, who has many more years of experience in the field, will give you various objectives that you’ll need to complete. These objectives are related to the job as a lookout; put a stop to teens setting off fireworks, gather supplies from a nearby cache, and so on. When exploring the forest you’ll come across points of interest that’ll open up more dialogue options. Some options are needed to progress the story, but the majority of them are optional and can be skipped if you so choose. Stories about other characters and happenings in the forest play into sections of the plot. However, some plot points never really get resolved, and I didn’t feel like the story came together in a satisfying way. 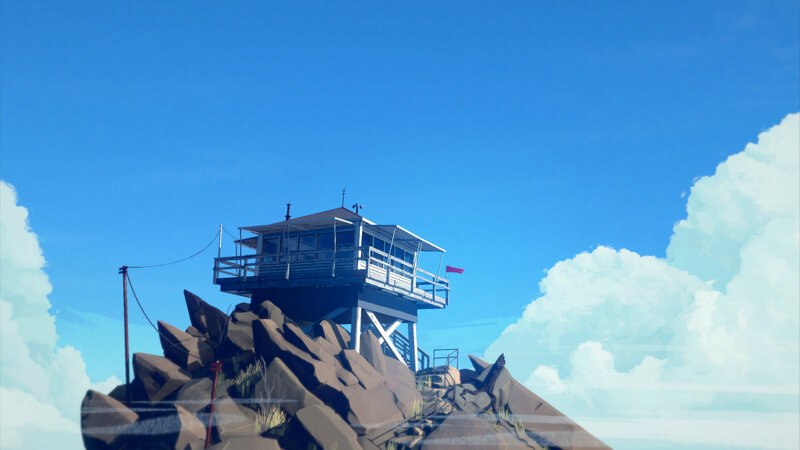 Your home in Firewatch is a lookout tower with various objects in which to interact. Books, bleach, soap, cans of food, and more are available to pick up and look at though most objects don’t offer much to advance the story. I appreciate the nice touches the game includes such as a pennant that resembles the University of Wyoming, and the “Don’t Tread on Me” doormat. It really add to the believability of the world and helps with immersing you into the forests of Wyoming. Some items are necessary for progression, such as a rope to rappel from rock cliffs, while a flashlight found early in the game can be completely missed. Rappelling from rock cliffs is a gameplay element that occurs several times throughout the game. These sections break up the walking segments, but after a while, they can feel monotonous. Smaller maps can be found in supply caches to mark on your map to clearly outline the paths you need to take to progress. Finding some supply caches aren’t mandatory, but you’ll want to look on your map to find them all as they can hold some really interesting items. Exploring the forest around the lookout tower is where the majority of your time will be spent. To navigate the forest a map and compass will aid you. The map has an indicator on it showing where certain points of interest are, including where you currently are located. 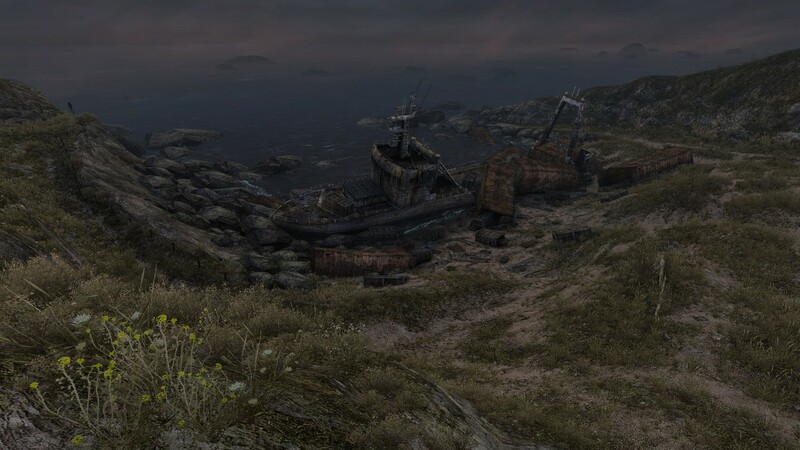 Each environment you’ll visit is unique, and you’ll visit some locations in the game numerous times. It can feel like backtracking, as there are some long stretches of walking through the same area, but thankfully there is a jog button you can toggle to speed up travel times. There’s also consistently new things to talk about with Delilah that helps keeps things interesting when walking through the same area numerous times. There are some sections of walking without dialogue, allowing you to just soak in the world around you. Through the majority of the game, there is no music, but when the soundtrack of Firewatch kicks in, it’s incredible. The soundtrack nails the important sections of the experience and it is what I’ll remember most about Firewatch. The gorgeous environments, soundtrack, and small details add to the immersion of the game, but frame rate issues consistently pulled me out of the experience. The frame rate throughout most of the game is all over the place and noticeably chugs while jogging. At one point the game completely locked up forcing a restart. Firewatch isn’t unplayable on PS4, but the performance issues are both noticeable and disappointing. 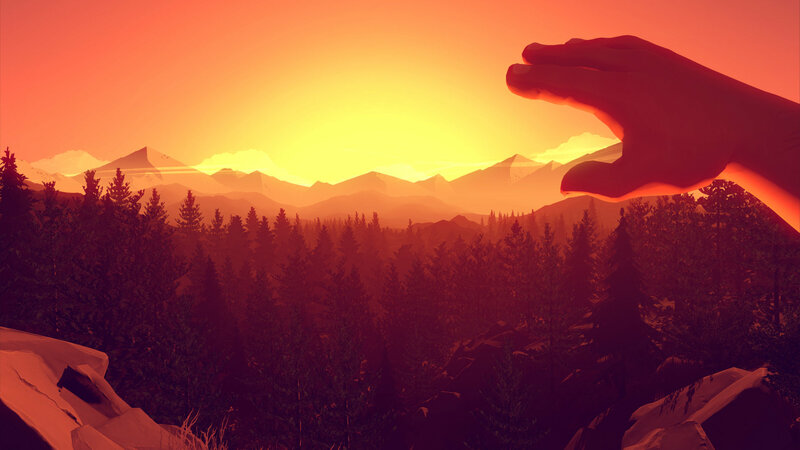 Upon completing Firewatch, I enjoyed the journey, but it didn’t leave a strong lasting impression. I wasn’t really captivated by what I played in the end. The beautiful setting of the Wyoming forest and the dialogue between you and Delilah kept me wanting to progress the story, but it ended up falling flat at its conclusion.